Use the Quarp Drive teleport to outsmart the evil Vokh in race-tuned space combat, then dock your ship, jump out and continue the fight on foot! Velocity 2X is the visually dazzling action packed sequel to Velocity Ultra, featuring amazing puzzle-platforming action alongside award-winning shooter gameplay! 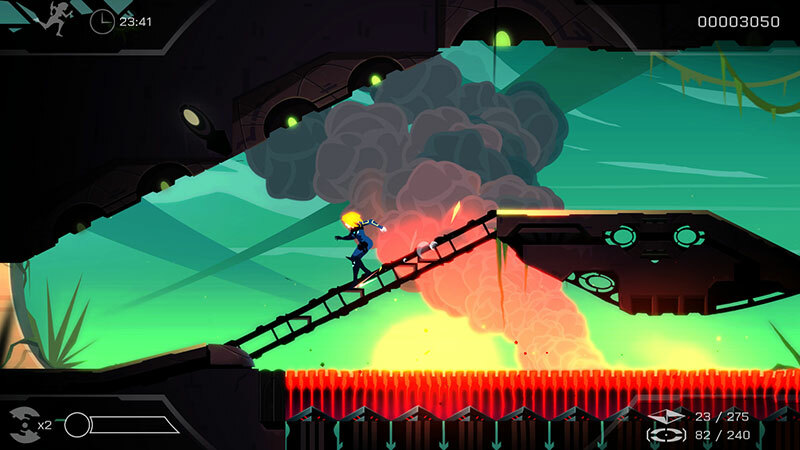 Velocity 2X offers the perfect mix of side-scrolling puzzle-platforming and top-down shooting action. With perfect controls, beautiful visuals and an amazing soundtrack, this game is one that you should definitely not miss! Beating each level on perfect is tough (both in difficulty and on your reflexes), but in the end you will feel like thumb kinda hero! By turns breathless, brilliant and fist-chewingly demanding, Velocity 2X might allow its tempo to drop too often, but it approaches excellence often enough to recommend - you might just fall in love. Velocity 2X could have taken the easy route, sticking with proven mechanics for a predictable sequel. Instead, it makes a big bet, adding on-foot gameplay to already-sharp ship gameplay and the entire game is so much stronger for it. Sequels are often used as a safe way to fund future products and rarely are core tenets of a series monkeyed with for fear of losing the original audience. 2X walks that tightrope and makes it to the other side, backed by thunderous applause. 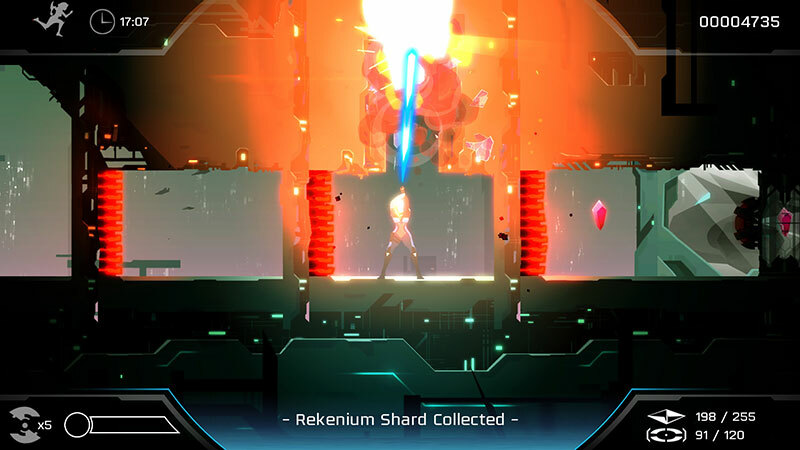 Velocity 2X deftly balances action, platforming, and puzzle-solving, and it does so on a knife’s edge, at high speeds. Not only is it an outstanding Vita and PS4 game, but it’s the first game in a long time to give me the thrilling sense of mastery that a well-played level of Sonic the Hedgehog used to back in the 90s. The joy of running through the entire level, shooting and phasing perfectly, without stopping to catch my breath, was immense. You’d think the scenes between each level would be a nice rest, but they were like a fleet-footed jig in between mad break-dancing. 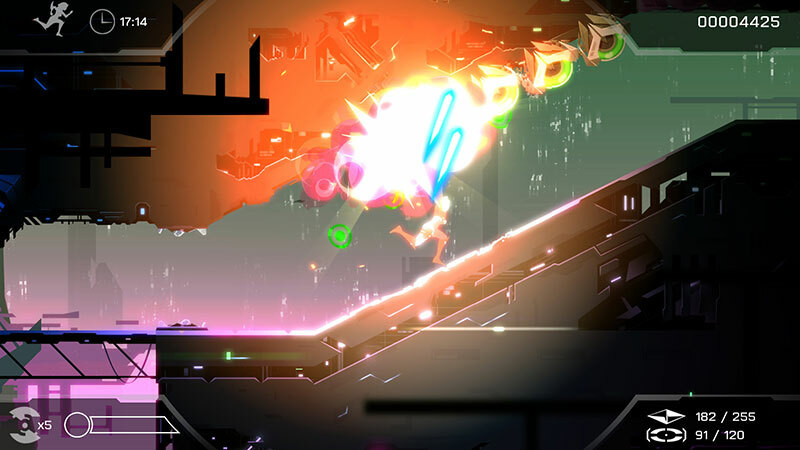 ...Velocity 2X is a game that, once you play a bit, guides you into a sort of rhythm. Much like music games, it’s a very seductive effect. Velocity 2X delivers another dose of pitch perfect shoot ‘em up gameplay, but refuses the rest on the laurels of its predecessor. 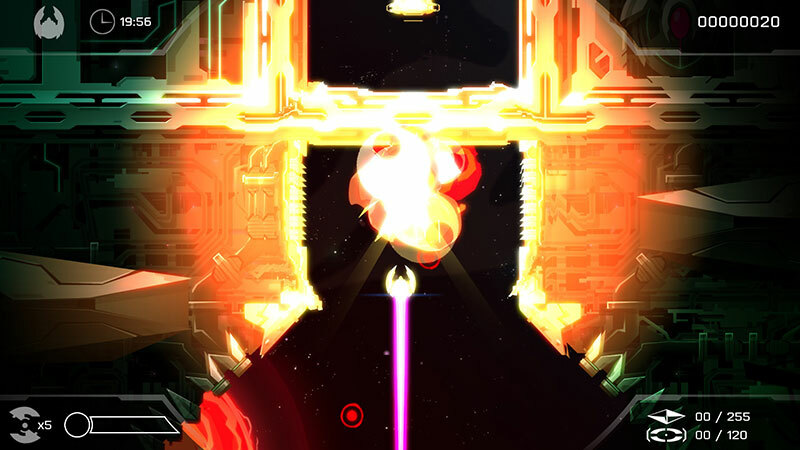 Taking Kai out of her Quarp Jet opens up whole other avenues for the gameplay that only gets better and better as you progress, with every other part of the game lavished with further polish and refinement. I can only think to echo the sentiment and the score that we awarded the original. Velocity 2X is great fun, but its increasingly complex blend of mechanics and fast pace make it a game I struggled to play in long sessions. Eventually the ambition to complete each level is replaced with a desire to top your friends’ high scores, and there’s already a huge void between the many and the few. 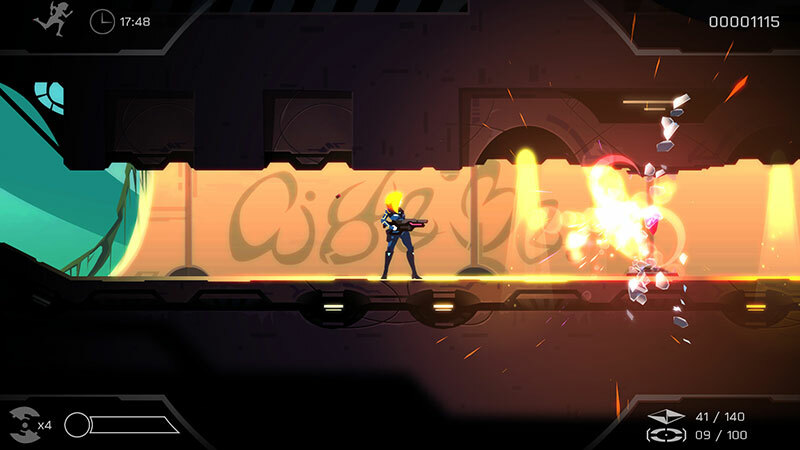 Above all else it's the act of simply firing a weapon that's the most fun in Velocity 2X, and when you layer in all of the extra elements on top it just adds to the chaos, which is what Futurlab excels at. It's a great arcade game for anyone who misses the golden age of fixed shooters like Xevious, or those who just love indie bullet hell games like Enter the Gungeon. To its credit, at least it's concise, but the plotline just doesn't do enough to engage the player on any significant level, adding colour which the game could do perfectly well without. 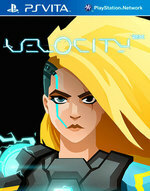 But all in all, Velocity 2X remains a triumph. Its presentation, from the gorgeously colourful sci-fi world to the sumptuously epic soundtrack which lends the on-screen action a heroic feel, is faultless. Overall, Velocity 2X takes all the solid points from the previous game, and adds unto them new on-foot missions to help keep the franchise fresh. As with the game’s predecessor, the lure of attempting to beat your score or those of your friends will keep you coming back for more and always makes you feel like there’s still room for improvement. 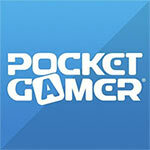 In short, this is a must-buy for fans of the original and newcomers alike. Das Ergebnis ist vom Fleck weg motivierend, weil man nur selten gebremst wird. Eingangs ist das Spiel sogar fast zu einfach, nach einer Weile aber ist man mit Angriffen aus verschiedenen Richtungen, farbcodierten Schalterfolgen und verzweigteren Routen doch in einem Maß gefragt, das mehr als bloße Reflexe einfordert. 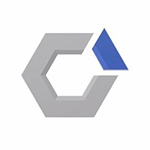 Auch die neuen Plattform-Levels fügen sich toll ein und sorgen für mehr Abwechslung. Schade, dass die Entwickler im Gegenzug die Kämpfe vernachlässigt haben: Standard-Gegner grasen nach wie vor meist einfache Bahnen ab und auch Bosse lassen sich zu leicht besiegen. Auch die schlichten Kulissen und der fade Einstieg sorgen vor allem zu Beginn für Monotonie. Velocity 2X betul-betul hadir secara tidak terduga. Game ini berhasil menjadi game paling sering saya mainkan di PS Vita saya, padahal sebelumnya saya tidak memiliki minat sama sekali akan game ini. ...Keseimbangan yang dimiliki game ini betul-betul luar biasa. Ditambah lagi dengan kualitas visual yang dijamin akan memanjakan mata siapapun yang melihatnya.